An increasing focus on Russian deterrence within the top ranks of the Pentagon could foreshadow the deployment of more U.S. troops to Europe. Defense Secretary Jim Mattis will meet with NATO defense ministers this week and pitch a 30-30-30-30 readiness plan to counter what the Pentagon perceives as an increasing Russian ground force threat. The plan calls on NATO allies to assemble 30 land battalions, 30 air squadrons and 30 combat vessels capable of deploying in 30 days or less by the year 2020. The plan comes at a time of lingering concerns about the capability of NATO members to meet U.S. strategic readiness goals. 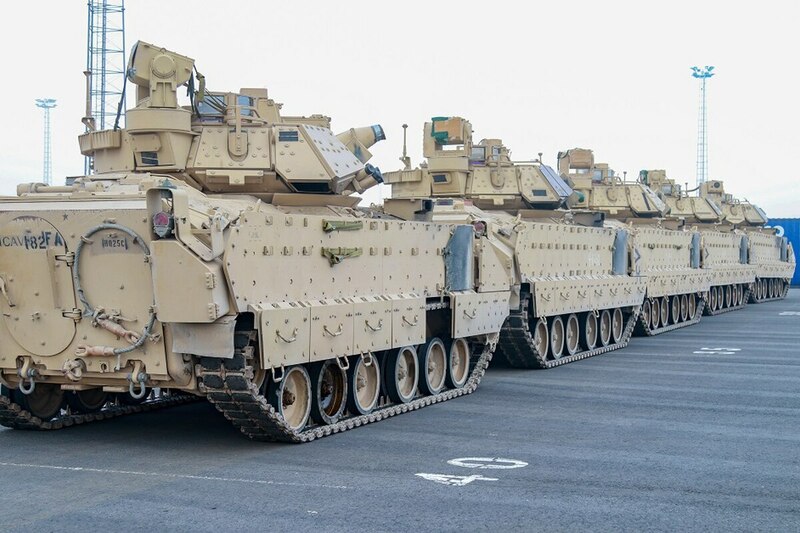 A recent Rand Corporation study showed that Britain, France and Germany could each deploy a heavy brigade unit to NATO’s eastern flank within a month, but sustaining those forces would be difficult, especially given French military commitments in Africa and years of British military cuts. NATO Secretary General Jens Stoltenberg on Wednesday urged European allies and Canada to keep ramping up defense spending, as the alliance expands its command headquarters in response to a more assertive Russia. Those concerns leave open the possibility that more U.S. forces will be needed in Europe to satisfy the Pentagon’s Russian deterrence goals, which is precisely what the head of U.S. European Command called for just weeks ago. Army Gen. Curtis Scaparrotti, U.S. European commander and NATO supreme allied commander, told reporters after a meeting with chiefs of defense from across Europe that U.S. resources may need to be diverted from ongoing counterterrorism operations in order to fulfill his central task of Russian deterrence. “In terms of the force structure .. .in each of our domains, there are additions that I need,” he told Reuters. The clock is ticking as the U.S. Army measures how rapidly it can replace thousands of troops and equipment under Operation Atlantic Resolve in eastern Europe and the Baltics. Scaparrotti spoke just as the Army prepared to transport 3,300 troops and 2,500 pieces of equipment across Germany to strategic locations in eastern Europe as part of the American-led Operation Atlantic Resolve, meant as a show of force near the Russian border. In Brussels, Mattis will aim to get defense ministers’ endorsement of the 30-30-30-30 plan ahead of the summit of NATO leaders in July.